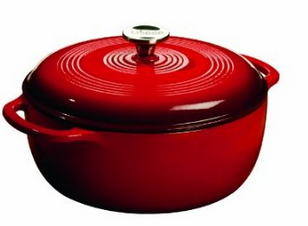 Right now you can get this Lodge Color EC6D43 Enameled Cast Iron Dutch Oven, Island Spice Red, 6-Quart for just $49.99 Shipped (Retail $110)! There are other colors available, but they are more expensive. The reviews on this are great! 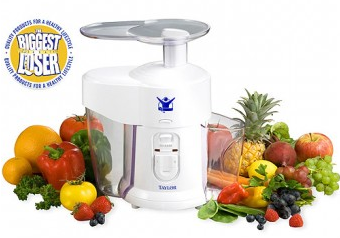 -Dishwasher-safe, but washing by hand recommended; lifetime warranty. Oh MY I really like these!! Today only over at Joe’s New Balance Outlet you can get this pair of New Balance 00 Women’s Running Shoes for ONLY $34.99 (Retail $109.99)! Minimus is a whole new approach to athletic footwear, inspired by Good Form Running and designed to be worn with or without socks. The Minimus Road running shoe is engineered for use on pavement and other varied running surfaces. Supremely comfortable and extremely lightweight, the MR00 is taking the running world by storm. 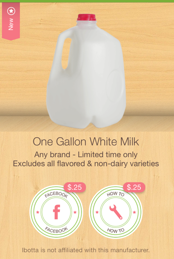 As we’re all hitting the store for last minute storm preparation I’m assuming some of you have purchased any brand milk or eggs..
Now it’s time to redeem these offers available on iBotta for additional savings that will slip right into your pocket book. PLUS don’t forget that if you buy any brand milk offer ($.50) along with any 2 additional offers across all categories and earn a $1 bonus, plus earnings from the 2nd & 3rd offers. Hurry as both the any brand milk offer and bonus expire on Sunday night. The only catch is that you had to make your purchase at a Store that iBotta covers. Stores included: Target, Dollar General, Family Dollar, Walmart, CVS, Sam’s Club, Whole Foods, Costco, 7-Eleven and More! Be sure to download the Ibotta app now for more savings on groceries, restaurants and more! If you’re heading out to do a little shopping before the storm you may want to head to your nearest Bath & Body Works for this hot deal! 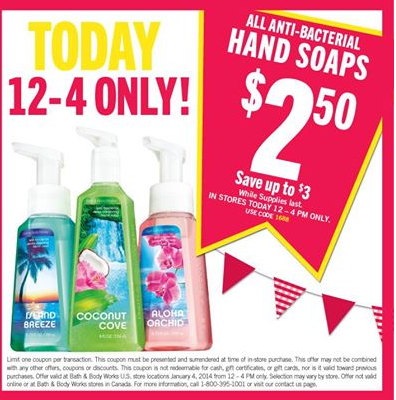 Today ONLY from 12-4pm* in stores get all Anti-Bacterial Hand soaps for just $2.50. Show this post or your smartphone or print offer to show code 2058. While you are there don’t forget to check out the $4 Sale on over 30 Fragrances (ends tomorrow 1/5). Check out Bath & Body Works online deals or find a Store near you. There are several new coupons available today that you will want to grab before they reach their print limits! Right now you can get a week for FREE at Curves! 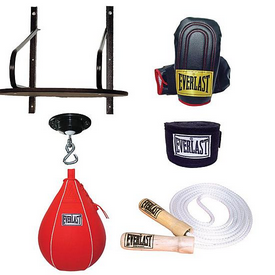 If you want even more workouts you get up to 74% off HERE! **Keep in mind the Free Week can not be used if you are going to purchase the options below. ***If you choose to join Curves after using their workouts (above), the initiation fee will be waived. Expires Mar 31st, 2014. Limit 1 per person, may buy 1 additional as a gift. Limit 1 per visit. Valid only for option purchased. Must activate by 3/31/14, workout pack expires 3 months from activation date. New clients only or clients who have not visited in 6 months. 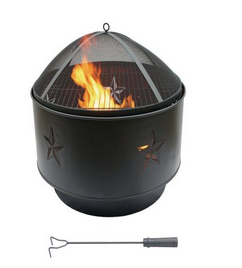 These are great deals if you want to test it out! 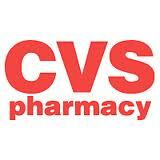 If you’re new to shopping at CVS check out our CVS Store Guide it is also a great resource to get you started! If you are new to couponing be sure to check out the Free Extreme Couponing 101 eBook. Today ONLY you can get this LEGO Ninjago Brickmaster set for just $12.99 (Retail $29.99). -Build the coolest vehicles, buildings, and LEGO Ninjago structures you can imagine! 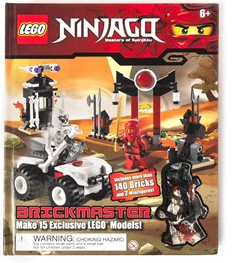 -This Brickmaster kit lets young ninjas build and play to their heart’s content. 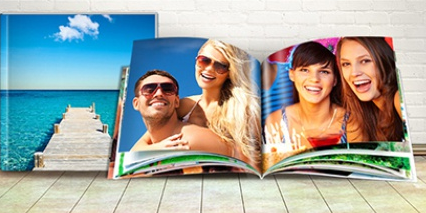 I’ve had a few readers ask for great deals on Photo Books and here’s a great deal to cash in on – but I would hurry the lower priced options will sell out fast! Expires Jul 31st, 2014. Limit 3 per person, may buy 2 more as gifts. Limit 1 per order. Free shipping.